After a break-up with his boyfriend, journalist David Thorpe embarks on a hilarious and touching journey of self-discovery, confronting his anxiety about "sounding gay." Enlisting acting coaches, linguists, friends, family, total strangers, and celebrities, he quickly learns that many people—both gay and straight—often wish for a different voice. 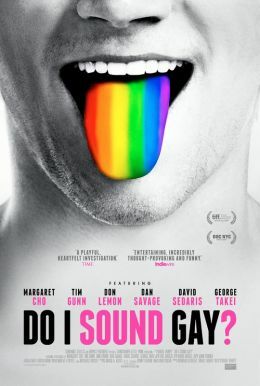 In Thorpe's feature-length documentary debut DO I SOUND GAY?, what starts as a personal journey becomes a chance to unpack layers of cultural baggage concerning sexuality, identity, and self-esteem.